There are so many car rental companies names in Iceland that are similar to each other. Even when you read one of the reviews, you can just make the wrong conclusion because it is not the car rental that you mean. That can happen because names are almost similar to each other. 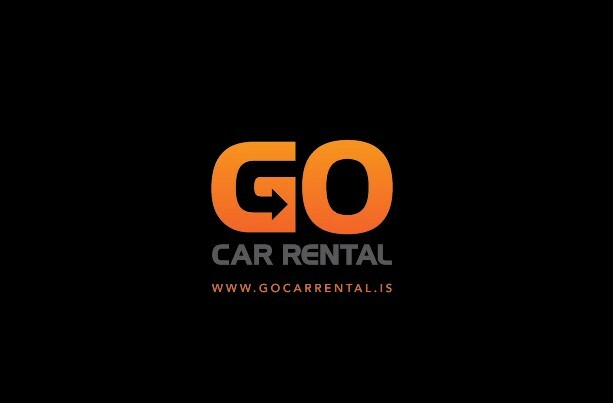 This time we will give you a review about Go Car Rental Iceland. This company's website provides an attractive appearance. You can visit it at www.gocarrental.is. The main office is located in Helluhraun 4, Hafnarfjörður. They are open daily. Start from 08:00 - 18:00 in the summer and from 9:00 to 18:00 in the winter. They will pick you up or return you at Keflavik International Airport 24/7. So, you don't have to worry about when you arrive at the airport. Except for holidays, they will not provide services on Christmas and New Year. Do you want to be picked up around the Reykjavik area? They can do it. The free service is valid from 9:00 to 18:00 every day by shuttle bus. If you stay in the Reykjavik hotel, they will take you to the main office at Helluhraun 4. Because they don't have an office in Reykjavik then you have to return the rental car to the main office. But they will also give a free ride back to the city between 09.00-18.00. You can also deliver a vehicle after work hours. You just have to place the car key in the drop box that is outside the office. You can also choose a 24/7 pickup service and drop off at Keflavik airport. But this requires additional fees. They offer many vehicles with various models. This is quite interesting. The cars are also not old. Here are some vehicles and brief specifications that you can pick according to your need. Also, pay attention to the capacity of the number of passenger cars and luggage as well as the transmission system before you choose a vehicle. In addition, each vehicle may have its own additional features that will help you on the road trip. Adjust to your travel plans in Iceland. Like where you want to go, in what season do you come, do you need an additional driver, and how much is your budget to rent a car. Every rental car is unlimited mileage. Unless you want to rent more than one month, there may be a limit. You can use valid credit cards such as Visa and MasterCards for payments or insurances. You must be at least 20 years old and have a valid driver license. The minimum rent is 24 hours. So even if you return the car less than that time, you will still be charged a full day's rental fee. The maximum time for cancellation of a reservation is 48 hours before the pickup schedule and you will get all your money back. Whereas if it is less than that time then you do not get a refund. You can make payments in two ways. The first method is with full pre-paid 100%. The second way is that you first pay a confirmation fee of 15% of the total price and then the rest. But in this way, the total cost is 5% higher than the first payment method. So we thought it would be better if you go with the first payment method. You might be hesitant when reading about the best travel tips and destinations in Iceland via the internet. So you want to hear directly from local residents. This company will be happy to help plan your tour. You can do it when you arrive in Iceland or before coming here. Thus, you have better readiness in your vacation. Some of the approx insurances prices they offer are as follows. Choose insurance usage wisely. Maybe you only need to use some insurance. Make sure you return the rental car with full tank gas like when you first go with it. Because if not, then you have to pay for fuel costs and service fees charge around $ 24. This policy is almost the same as most car rentals in Iceland. Most customers express their satisfaction with the services they provide. Ease of pick-up and drop off as well as the attitude of the customer service is very good, the staffs are professionals. The large selection of vehicles with the latest models will make you happy. With competitive prices, good services from reservation to car return, as well as the fast response from customer questions, Go Car Rental Iceland is worthy of your consideration as a great option.